Between the late 1890s and the early 1900s, the young Irish writer John Millington Synge journeyed across his home country, documenting his travels intermittently for ten years. His body of travel writing includes the travel book The Aran Islands, his literary journalism about West Kerry and Wicklow published in various periodicals, and his articles for the Manchester Guardian about rural poverty in Connemara and Mayo. Although Synge’s nonfiction is often considered of minor weight compared with his drama, Bruna argues persuasively that his travel narratives are instances of a pioneering ethnographic and journalistic imagination. 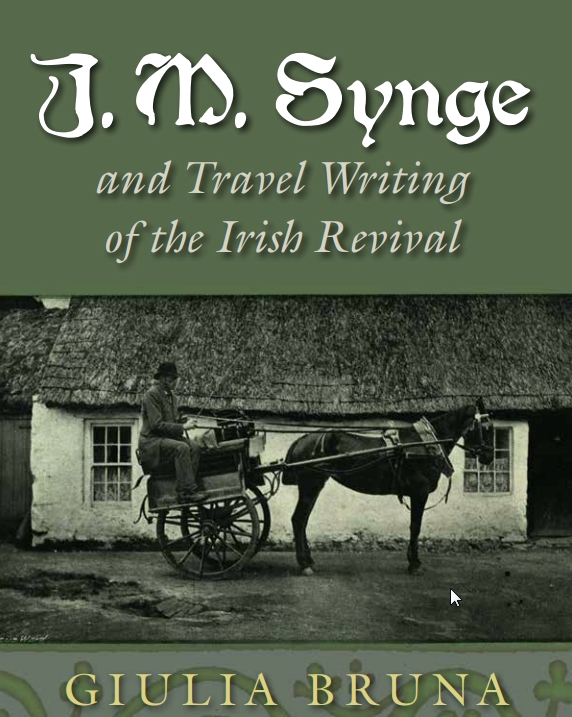 J. M. Synge and Travel Writing of the Irish Revival is the first comprehensive study of Synge’s travel writing about Ireland, compiled during the zeitgeist of the preindependence Revival movement. Bruna argues that Synge’s nonfiction subverts inherited modes of travel writing that put an emphasis on Empire and Nation. Synge’s writing challenges these grand narratives by expressing a more complex idea of Irishness grounded in his empathetic observation of the local rural communities he traveled amongst. Drawing from critically neglected revivalist travel literature, newspapers and periodicals, and visual and archival documents, Bruna sketches a new portrait of a seminal Irish Literary Renaissance figure and sheds new light on the itineraries of activism and literary engagement of the broader Revival movement.